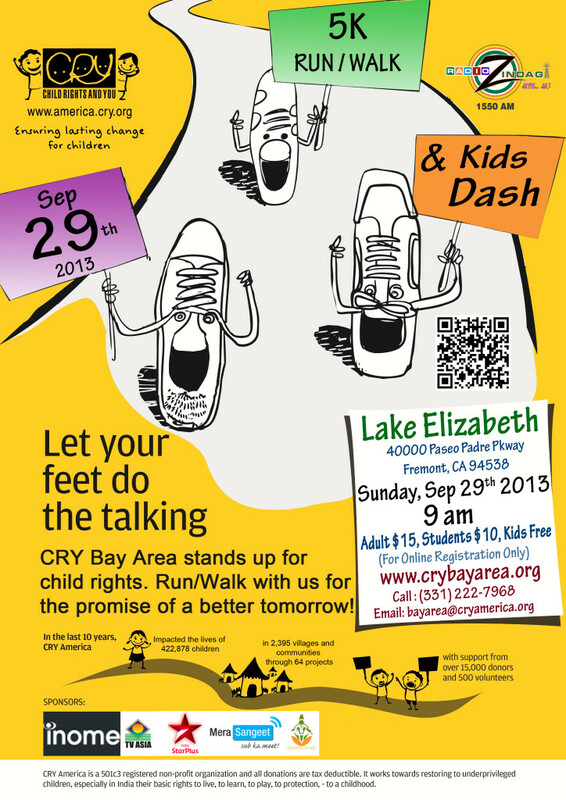 CRY Bay Area is committed to care for the rights and happiness of children with an aim to raise funds and spread awareness about CRY in the Bay Area. We believe that our dear Bay Area can work together and be able to change the lives of millions of children and the future of this world together! We invite high school volunteers, college students, professionals, retirees, homemakers and others to join hands for a common cause. Lets make this world a better future together! Please feel free to get in touch with us to find out different ways in which you can “Stand Up For Child Rights” in the true sense. Do check out our upcoming events if you are in the Bay Area. CRY Bay Area Walk 2012 at Bay Land Atheletic Center, Palo Alto. ​ Arcus Cares is an initiative by Arcus Lending, to give back to the community. Arcus Lending empowers consumers and helps them choose the right mortgage solutions.